Many Raven Records and Witching Stick releases are available on CD from CD STREET . . . want to go there now? Just click on the dancing raven above . . . otherwise, please scroll down, and click on individual album images for other on-line distributors . . .
Hey, folks: Native Dancer is nearly sold out! Click on the poster below to buy a copy while they last . . . Native Dancer Easy Street Earthgirls Don't Blame it on Us! A Change of Scene Then Came Wu Ring Native Dancer That Check's in the Mail Hung Jury Checking out the World . . . to purchase Native Dancer securely online, click on the poster below . . .
Scroll down to see the entire catalogue. 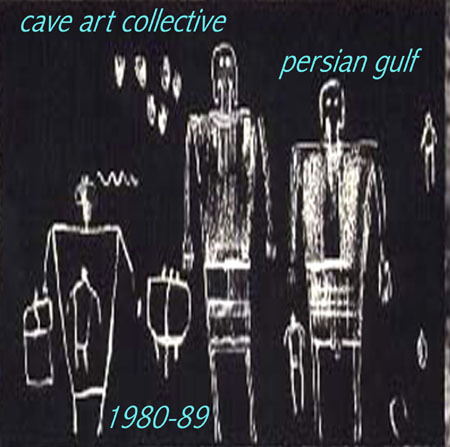 The original studio recordings of the original Persian Gulf ensemble: Hal Shows on guitars and vocals, Dave House on bass, and Chas Chase on drums. Always impossible to pigeon-hole, these early gulf recordings remain as fresh and raw as they seemed during those blurry days and nights of their creation in 1981. "Beertown" became a local hit in and around Tallahassee and, thanks to a lot of airplay on college radio, brought to the Gulf a large local melee of followers made up punks, poets, freaks, artists, and people with nowhere else to go. 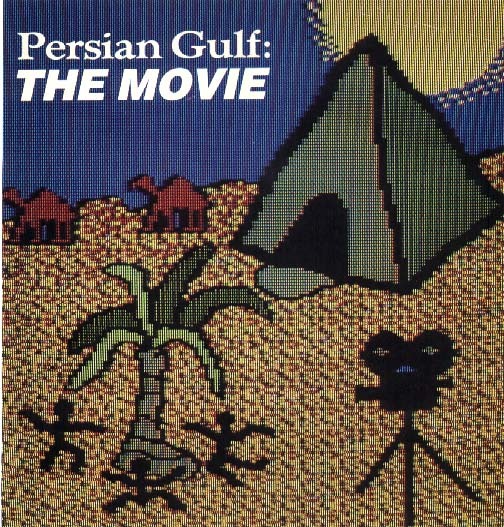 Production by Robert Anthony and Persian Gulf. This seven song extended play recording was made in Philadelphia in the winter of 1983 and released there in 1984, in the year of Orwell. Having exhausted the limited club scene for new music in north Florida, the band, now with multi-talented bassist Jonathan Adams on board, had decided to seek its fortunes further north, and closer to the sources of the music industry. A move to the City of Brotherly Love ensued. Changing the Weather was a roll of the dice, intended as a calling card for the club scenes in NYC and Philly. Weather became the first EP ever chosen as a featured pick-hit in Robert Christgau's influential Village Voice column, and a subsequent leftfield college radio hit, hitting the alternative charts during the last half of 1984 and winding up on many "Top-Ten Records of the Year" lists. Praise for the band was vocal and intense among establishment critics in the Northeast, who seemed to see in the Gulf's unadorned, direct approach to songforms and emotion a re-emergence of the basic vitality of rock and roll. Rolling Stone declared that "some of the best music of this year was made by stubborn, slightly more famous than local bands" like Persian Gulf and a handful of others. Such notices opened up the club scene in NYC and elsewhere. Persian Gulf would tour regularly over the next few years. As a record, Changing the Weather marked the Gulf's first extended foray into the art of recording, and displays a growing sense of the possibilities of the studio. Production by Pete Humphreys and Persian Gulf. Two precious years elapsed between the release of Changing the Weather and the release of The Movie, whose title references the hype surrounding the band. Finally, under contract with a group of Florida entrepreneurs who had agreed to finance the album's recording, production, and distribution, work on The Movie commenced in Tallahassee in December of 1985. The 14 song LP was recorded, overdubbed, and mixed in six long days sandwiched between two legs of a rigorous tour; in fact, Persian Gulf performed at CBGB's in lower Manhattan twenty-one hours after finishing the final mix of The Movie in Florida (a review of that performance in The Village Voice noted that the band "looked rumpled;" they were). When it was finally released a year later, after the Florida financiers unceremoniously folded and the band was forced to scramble for funds to release the record, The Movie was warmly received by the press, achieving for the Gulf its highest level of national airplay ever, but much of the buzz surrounding the band three years earlier had evaporated. 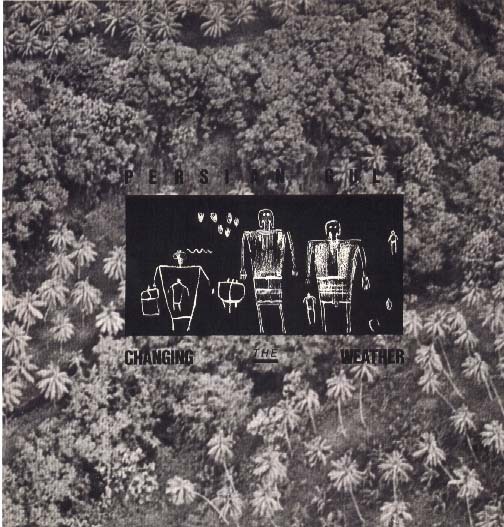 Still, commentary like this, from the prestigious CMJ New Music Report, was typical: "From the stark naked narrative to the shrouded-in- secrecy mood poem, from the calm and coercive to the raging and bitter, from the personal to the global, Persian Gulf's first full length LP has it all . . . an LP's worth of brilliance," and Option Magazine declared "Persian Gulf represents the best that rock has to offer." Production by Jonathan Prescott and Persian Gulf. Trailer, an EP, was released in the United Kingdom and Europe in 1987 by Abstract Records of London. The record comprises a selection of songs culled from Changing the Weather and The Movie, and was intended to precede the release of The Movie in its entirety; at least, that's what the contract said. In fact, Trailer was released and immediately exposed on a hillside, left presumably to die. Noone involved with Persian Gulf has ever seen a copy, and no explanation from England has been forthcoming. And of course, no checks. However, an occasional letter from fans in places like Missoula, Montana, and Singapore, letters of praise, god love'em, have led us to believe that some number of copies have in fact been sold. Moral of story: never deal with things in the Abstract. Please let us know if you find a copy; we'd like to know what the cover looks like. 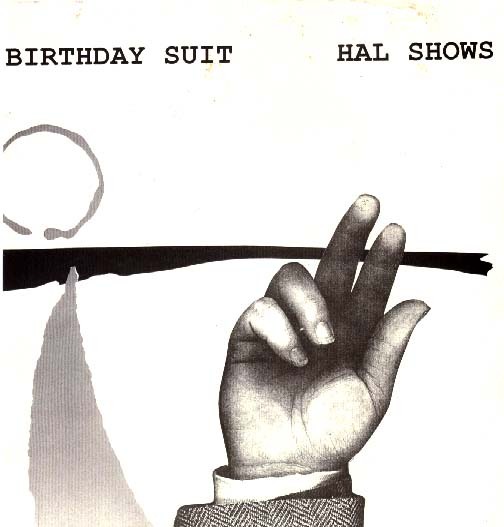 Birthday Suit, released 7/19/90 in New York, was made in the immediate aftermath of the breakup of Persian Gulf in 1988. The LP's rangy songwriting includes homages to surf music ("Black,Black"), Texas rockabilly ("Loving Things"), and gospel blues ("On a Mission"), and intriguingly incorporates into roots rock & roll elements of the international music Hal had been been listening to during his years in the City. Some of New York's finest afro-Caribbean session men, including Cyro Baptista, Phoenix Rivera, Kimati Dinizulu and Frank Ferrucci, as well as old Florida friends Jon Copps, Robert Anthony and Chuck Allen, contributed their talents to Birthday Suit, which the CMJ New Music Report said "couldn't be a more appropriate move for such a distinct and individual talent, whose songwriting bears traces of everything from Television to Talking Heads to Buddy Holly to Camper van Beethoven." And, in praise unusual in an age of whining angst, The New York Daily News called Birthday Suit an album that "exudes a sort of sweetness and light truly rare for these parts." Available only on vinyl, in glorious black and white, Birthday Suit is a personal favorite of the artist. Lifeboat, a long labor of love, was slowly evolved over several itinerant years and finally released in 1995. The eleven-song CD contains tracks recorded everywhere from New York City to Suwanee, Florida, to Rome, Italy, and marks Hal's active return to the music industry after a five year hiatus. According to the Miami New Times, which featured the album with new releases by Brian Wilson and Lionel Hampton, Lifeboat addresses "the personal consequences of living in a dysfunctional society, while skillfully documenting the individual dramas that unfold, balancing seamy imagery with catchy, often playful melodies." Lifeboat is conceived as an album of individual characters, speaking in their own voices; in fact there are twelve characters in this Lifeboat, including the songwriter. Each character has a tale to tell, and each tale tells about all twelve. Stylistically, the CD's music roams from raging rock ("Curiosity") to loungy nightmaremusic ("Soho Ranger") to urban funk ("Brave New Girl") to lullaby ("Blue Muse"). Even Pope John Paul II, slyly recorded at Easter Mass in St. Peter's Cathedral in 1991, makes a guest appearance on Lifeboat, lending a hand in "Next Easter," a multi-layered sound collage invoking the arrival of baseball, and spring. 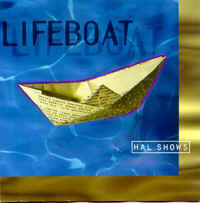 In The Tallahassee Democrat, Steve Macqueen said "Hal Shows' first record in five years is a thinking mans rock & roll record, using a diverse musical palette to paint Shows' beautifully thought-out pictures," and named Lifeboat one of the Top Ten Recordings of 1995. With Jeff James, Chris Thomas, Pete Butler, Michael Greif, David Webb, David Murphy, Paul Johnson, Bob Anthony, Mike McKenzie, Jim Waters, Mark Friedemann, Tom Lewis, Pete Humphreys and Lois Hicks. Production by Hal Shows and David Murphy, and a beautiful four-color cover by Jim Loser. Various North Florida bands and musicians contributed to this benefit CD for a friend in need, produced by Hal Shows. Some mindbenders, some moodswingers, some shapeshifters, some sound collages, some surreal narratives, some feedback, some fun.